hahaha! this is one of my absolute faves!!!!!! That is one of the funniest things I've ever seen! It really made me laugh! It cracks me up too! I look like this...except add it a look that says: "I May Barf at any Second!" That poster just CRACKS ME UP every single time! It is SO me! LOL, I love this, in fact, I am going to steal it because I think it is hilarious! Thanks for making me smile. lol yea my hands are sometimes all over the place in race pics! And I meant to tell you that I got the Runnerd gifts in the mail, I'll show them in a post soon, thanks! 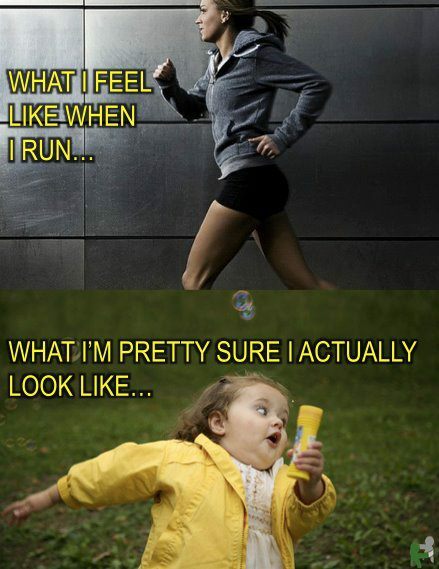 It's just unfortunate that I'm pretty certain that picture is so accurate for me! Makes me laugh every time! HAHA! Love this. I SERIOUSLY look like this in all of my race photos! so hilarious, love, love, love!